Something from my bar whenever I feel like it episode CLXXXIXsteemCreated with Sketch. 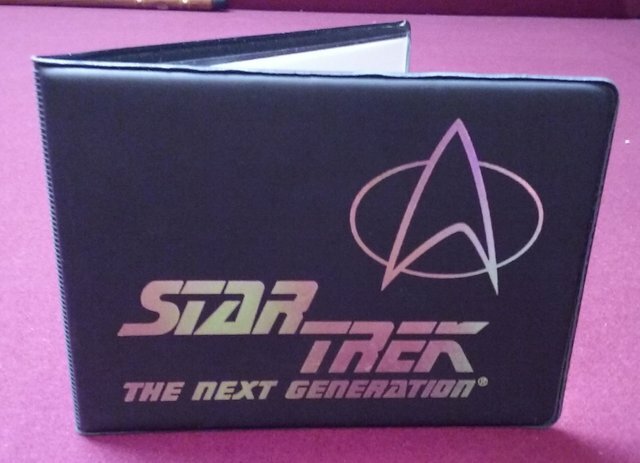 No it's not the last bar episode but it was the last Star Trek the Next Generation episode. 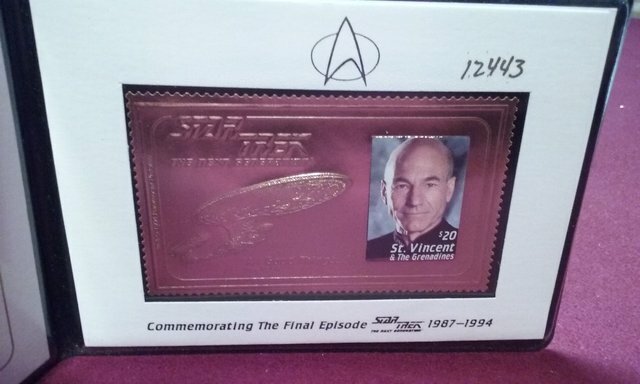 This is a commemorative stamp set from the episode All Good Things. 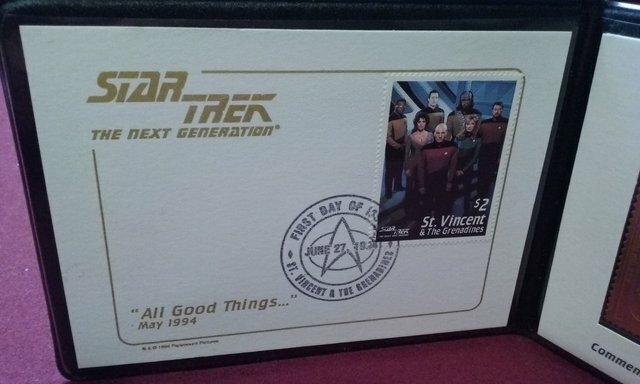 There is a $2 stamp with the cast on it on one side. 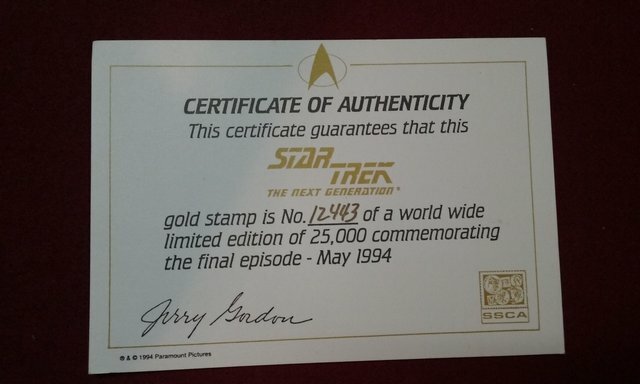 On the other is a $20 gold stamp with a picture of Captain Picard and the silhouette of the enterprise embossed in gold. 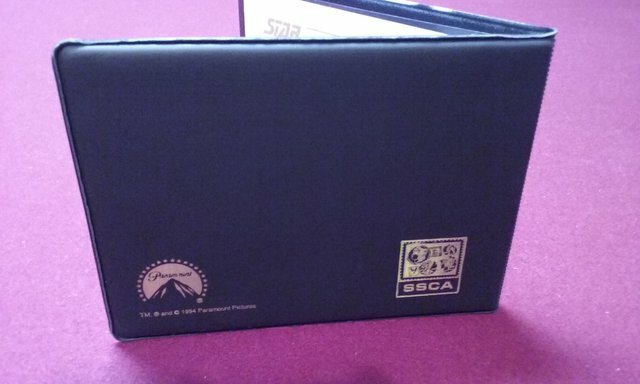 The included certificate shows that here were only 25000 made. interesting @fubar-bdhr! MAKE IT SO!